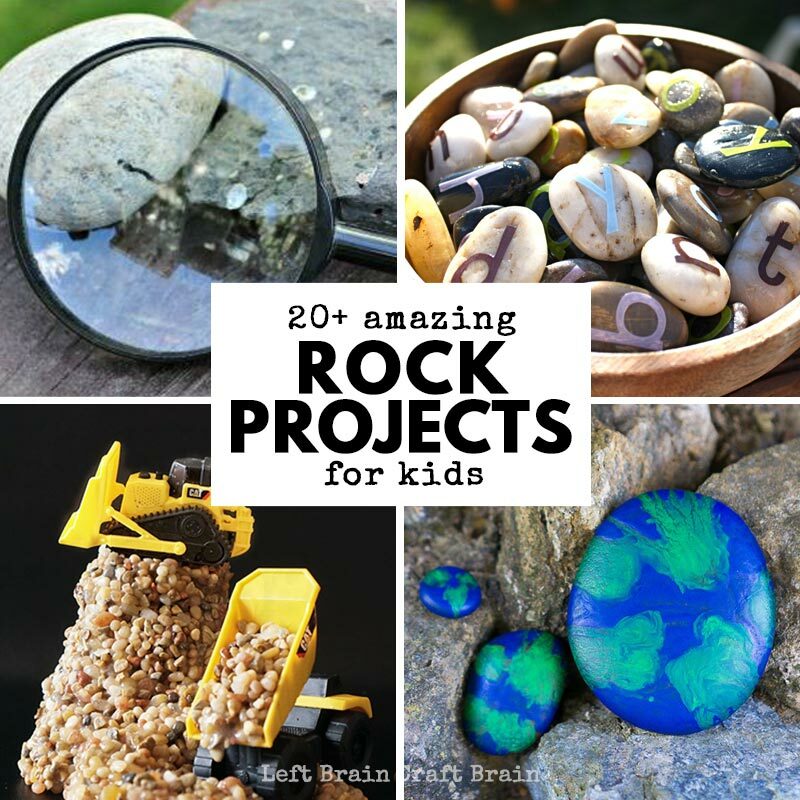 Kids love rocks. And kids love slime. But you know what they will REALLY LOVE? Rock Slime! 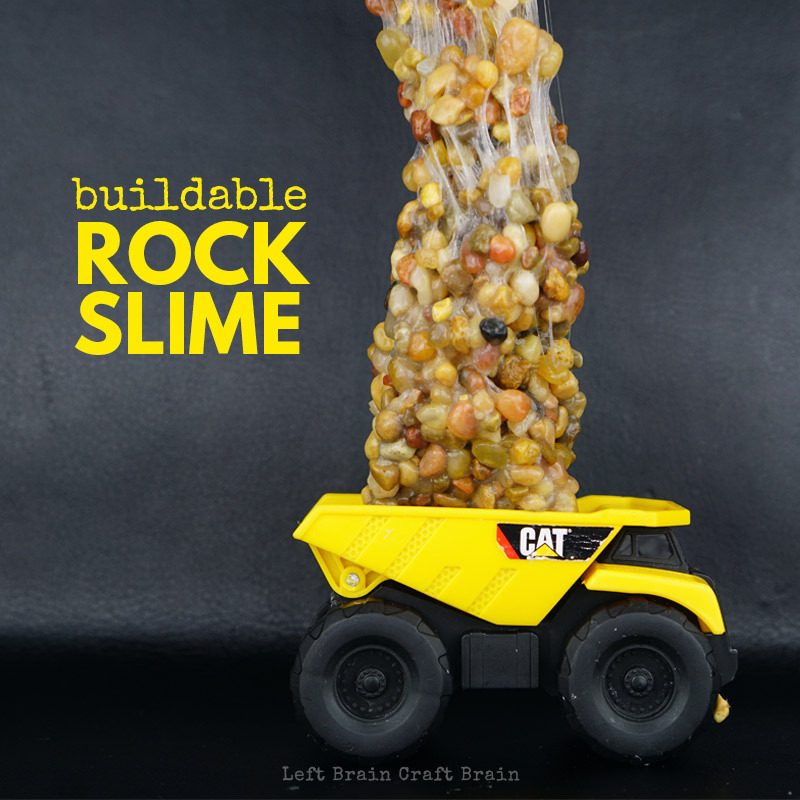 Buildable Rock Slime that actually holds it’s shape is the coolest building activity they’ve tried in a long time. 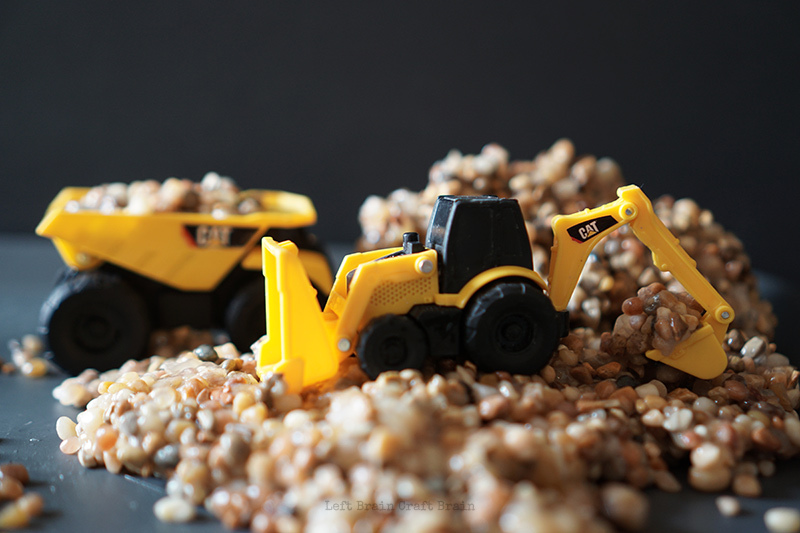 So grab your sand toys and construction trucks and let’s get building. This rock slime is SO FUN!! Maybe the most fun we’ve had with slime -ever- ! 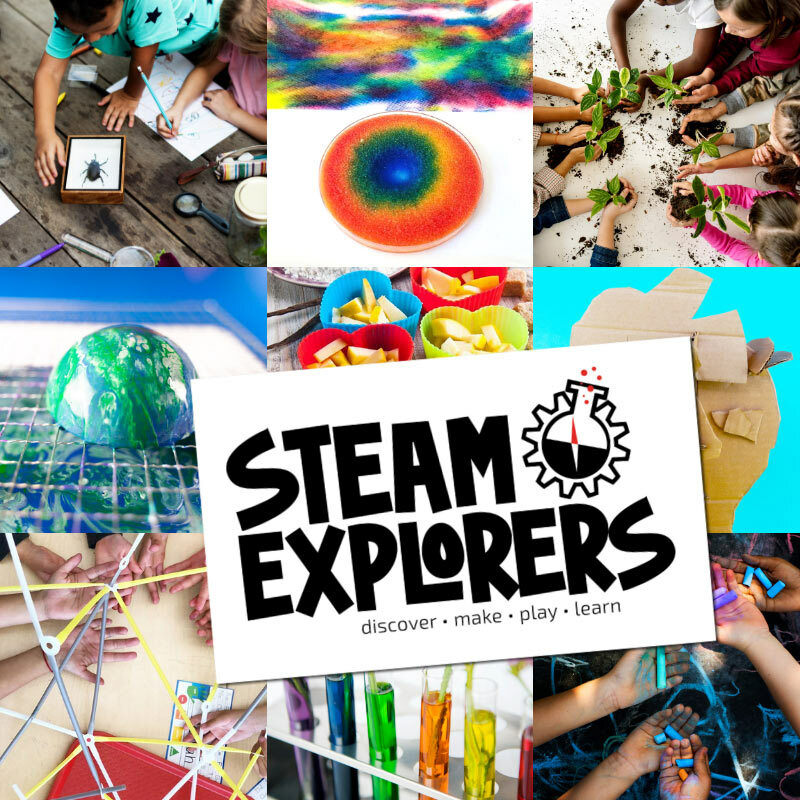 And we’ve made Color Changing Slime, Unicorn Snot Slime, Sunset Slime… It’s so fun to play with because you get both the cool, oozing factor of slime and the unbelievable building power of wet sand, all in one awesome sensory experience. 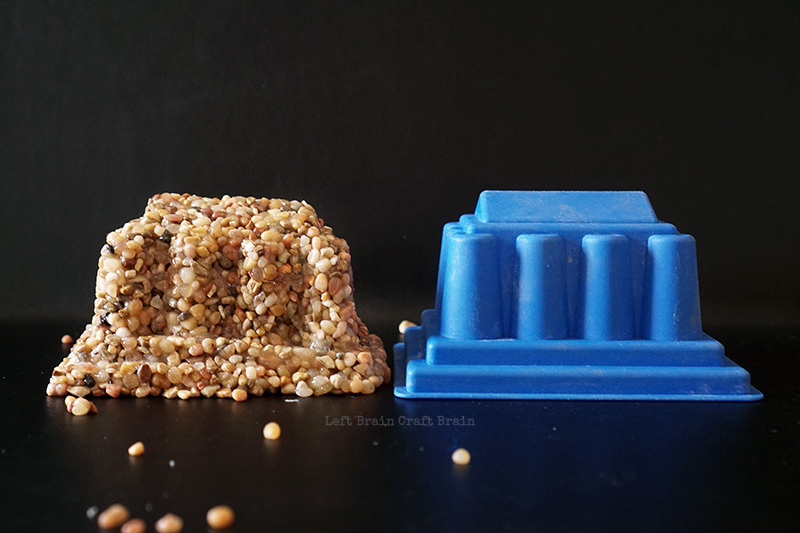 So grab some sand toys (we love these Ancient Wonders of the World sand toys and these CAT Mini Machines) and get building! Follow the recipe and do not substitute ingredients: A change in ingredients may cause an unwanted and dangerous chemical reaction. 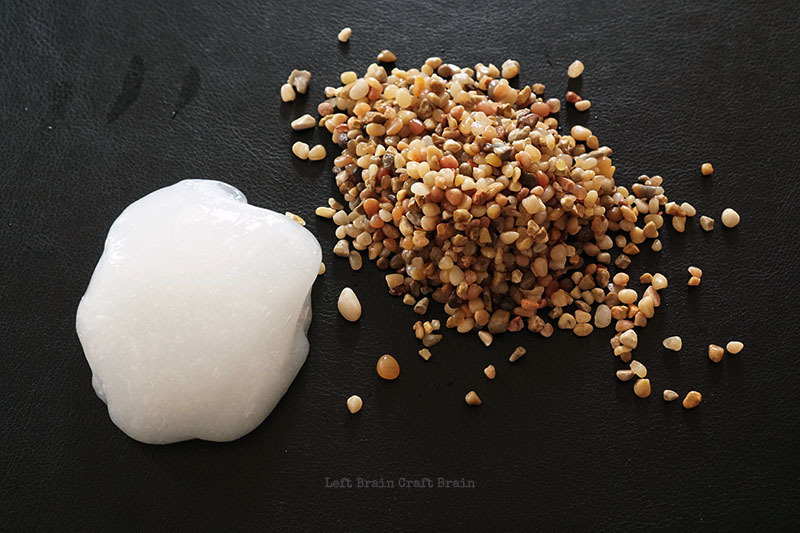 Use the right tools: Use tools like spoons or craft sticks when mixing the slime or cover your hands with disposable latex or latex-free gloves. Do not use your bare hands during the making phase. Wash your hands immediately after playing with the slime. Dispose of the slime appropriately. 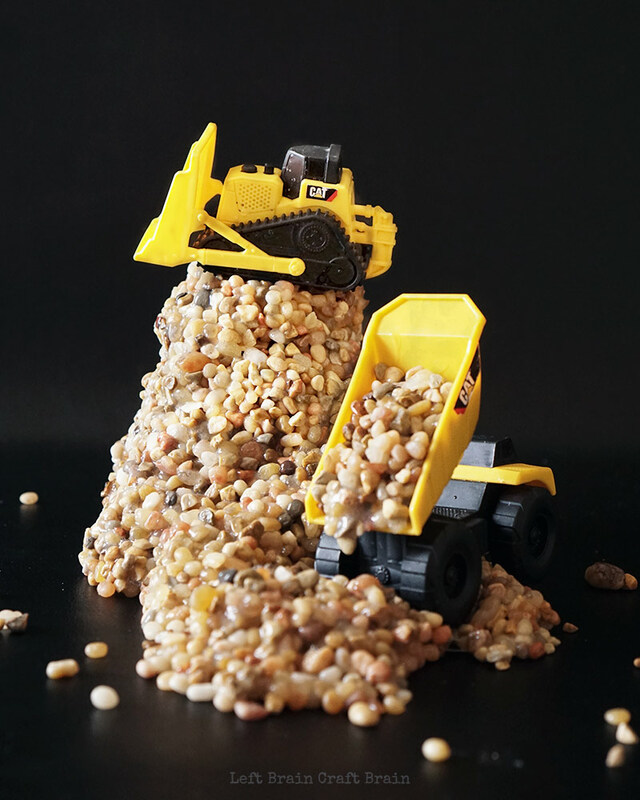 We recommend disposal within one week of making it or immediately after use if a sick individual plays with it or it is used within a multiple user setting like a daycare, school or play date. Most of all, use common sense. If you have any concerns educate yourself so you can make the best decisions for your family. Slime has so many amazing benefits, we just want to make sure kids are making it properly and using it safely. 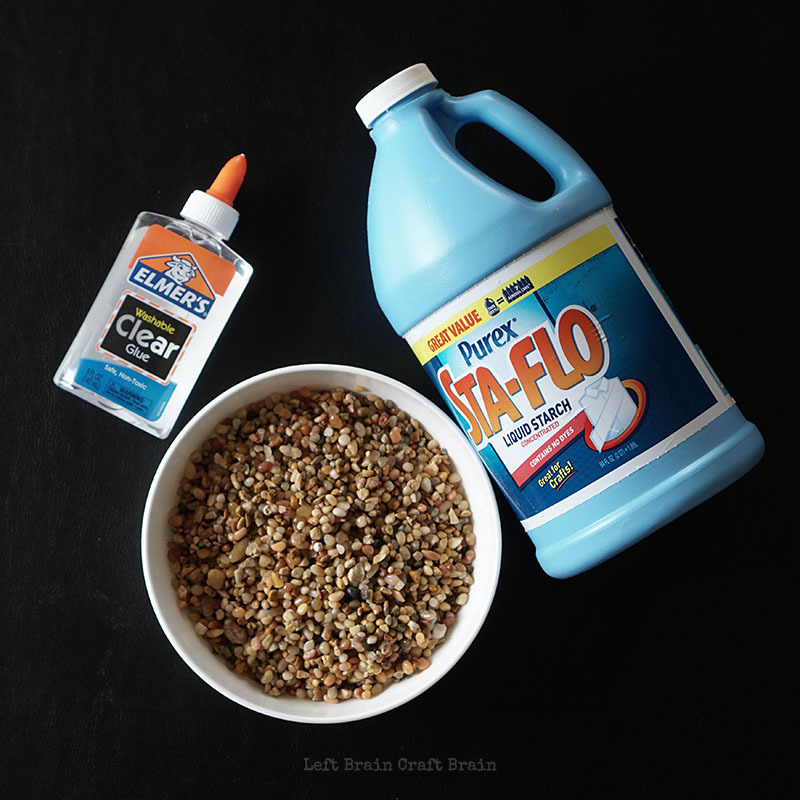 Make the slime: Pour 1/4 cup glue into a large mixing bowl. Add half of the starch and stir well with a spoon or craft stick. Gradually add the other half and mix well. Then knead the slime with your hands and return to the starch mixture for another mixing. This step is important because it makes sure there’s no unmixed glue hiding in the center of your slime ball. Check your slime consistency before adding the rocks: Slime too slimy? Rinse it with water and shake off excess. Slime too sticky? Mix it with some more starch. Prep the rocks: I found our rocks were kind of dusty and that made the slime not as pretty, so I recommend rinsing them first. Pour the rocks into a fine sieve colander and run under water. Dry them with a paper towel to remove the excess water. Next, check the rocks for any sharp pointy or broken rocks and remove them. Add the rocks: Stir the rocks into the slime, a cup at a time, until the slime looks like the pictures with very little visible slime between the rocks. 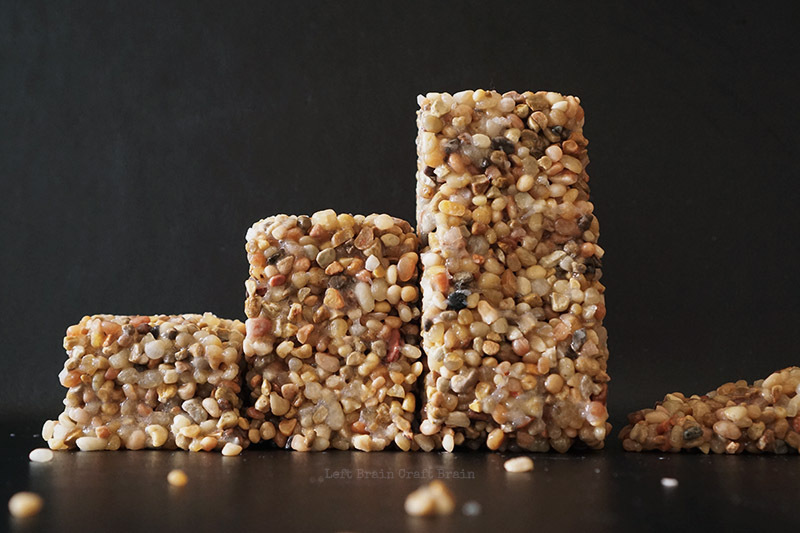 Storage: Keep the slime in an air-tight container for up to one week. We love building activities here at Left Brain Craft Brain!! SO much so that we pulled together this awesome list of 100 Invitations to Build. Click over to the post to see some of the fun, or download your printable right here. 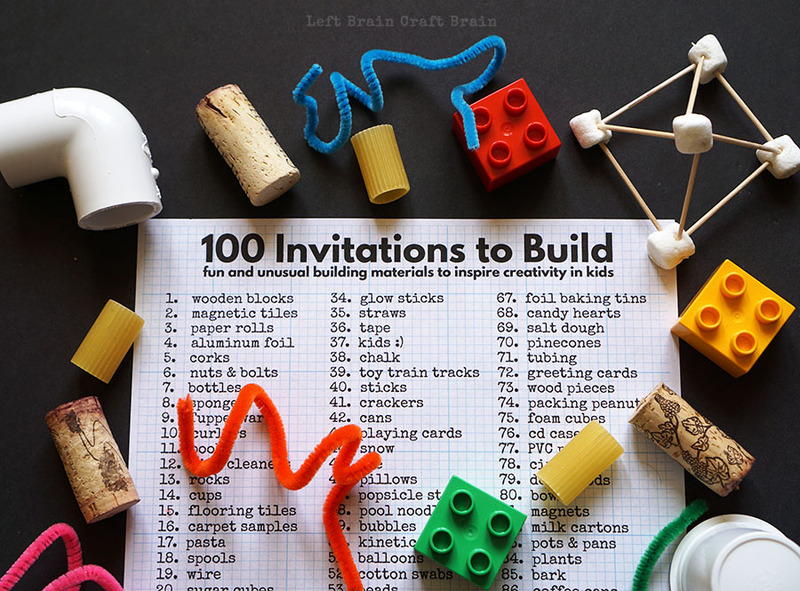 Click Here to Download Your FREE 100 Invitations to Build Printable. How About Some More Rock Activities? 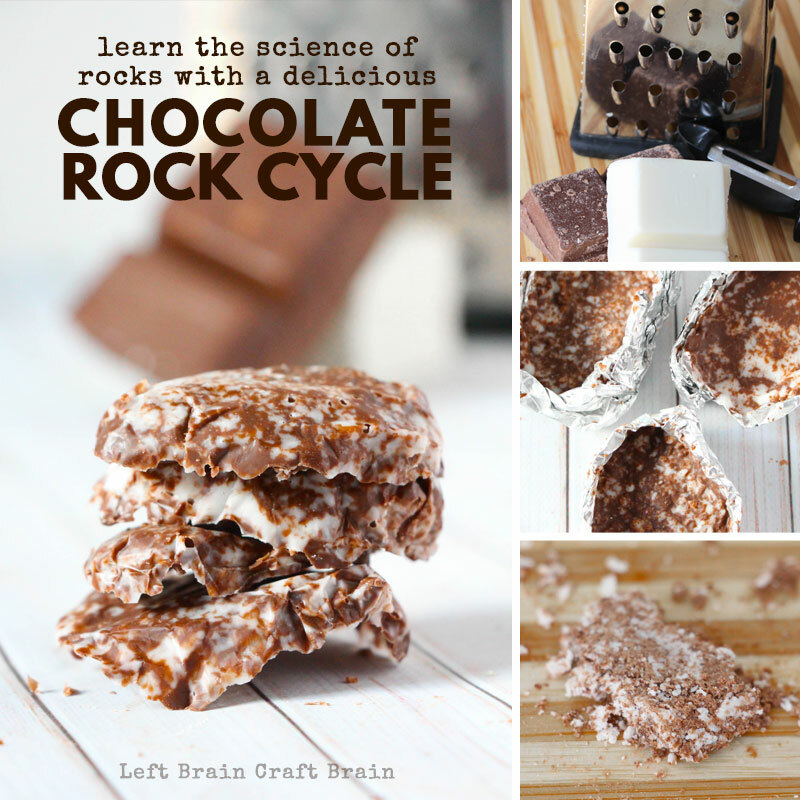 Or Make a Delicious Rock Cycle with Chocolate Rocks!